I have come to accept this for what it is, and actually am grateful for my utter “differentness.” At the time, however, I was the one being consumed. Day after day, and year layered upon year—like a rigid scab that easily bled. Like any recovering hoarder, I maintain a sentimental attachment to my belongings. In fact, at this moment I am wearing a 24-year-old shirt that commemorates the 1991 Wisconsin state cross country meet. At that point I was still mired in a bedwetting problem that failed to resolve itself until I left home upon reaching adulthood, after many months of dorm-living. Lets just say that surreptitiously stripping your bed of sheets while your roommate snores on obliviously—the morning after shelling out $3 in the laundromat to launder them—brings its own set of challenges, lest I digress. Ironically, it occurs to me that I still have a set of these twin sheets. Good memories here???? Marie Kondo, author of The Life-Changing Magic of Tidying Up: The Japanese Art of Decluttering and Organizing, is helping me to appreciate some of my natural inclinations, and use them for my family’s benefit. The author’s main premise is that all your possessions should “spark joy.” She advises one to literally hold each item in their hands. If it produces a thrill of joy, keep it. If not, purge it. 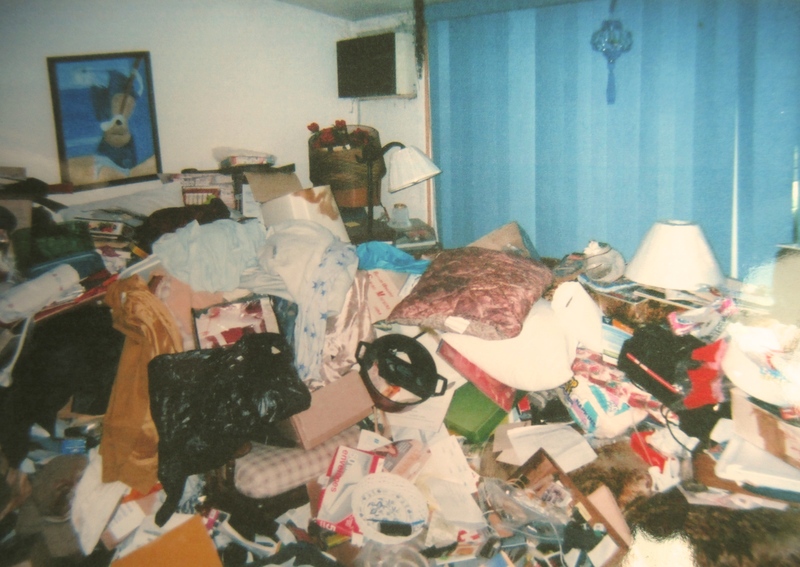 She paints a picture of the transforming power of being surrounded only by belongings that you truly love. I’m the only guy I know that reads such books, and avidly at that. The other day I asked an interior designer if she had heard of Marie Kondo, and while commencing with a description of her ideas I observed a gal looking at me—clad in a wool flannel and well-worn rugged outdoorsy apparel per my usual—like I had three heads. Indeed, I am an oddity. I eat this stuff for breakfast. Kondo’s book has more of a spiritual bent than any other book like it. While her beliefs are radically different than my own, being influenced by Shintoism, I find many of her principles compelling nonetheless. Furthermore, she helps me see the benefits of truly loving and caring for my possessions (without being possessed by them). I have even adopted her practice of thanking items being purged. 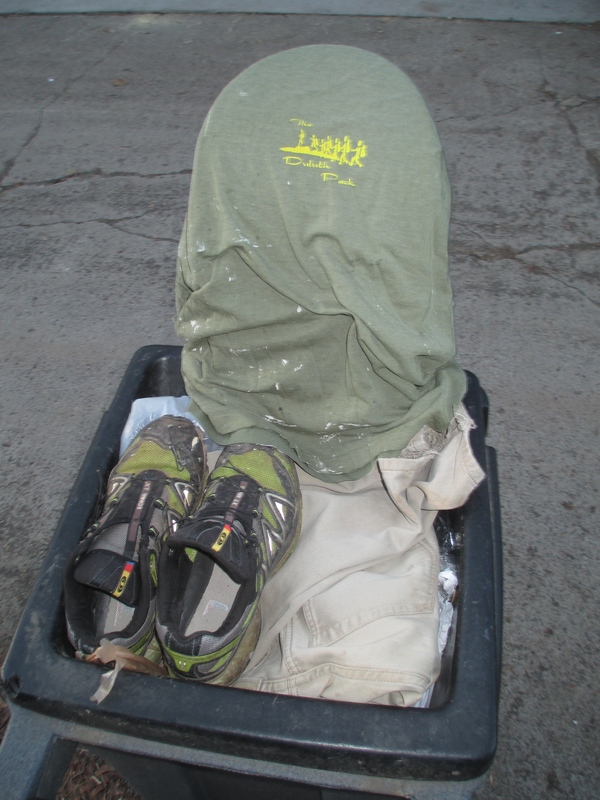 “Thank you for clothing me so well for so many years.” Or, “Thank you for teaching me what I do (or don’t) like.” Items being put back into their respective drawer are likewise folded and treated respectfully, rather than being carelessly tossed onto the floor. Such ideas are powerful for someone with my background. In a sense, though, virtually all of us in the western world have a long history of being awash in too many things. Clearing out the excess is nothing short of liberating. The picture below contains a dried rose that I have stored and carried around since the end of the last millennium. It is a memento from my wedding. 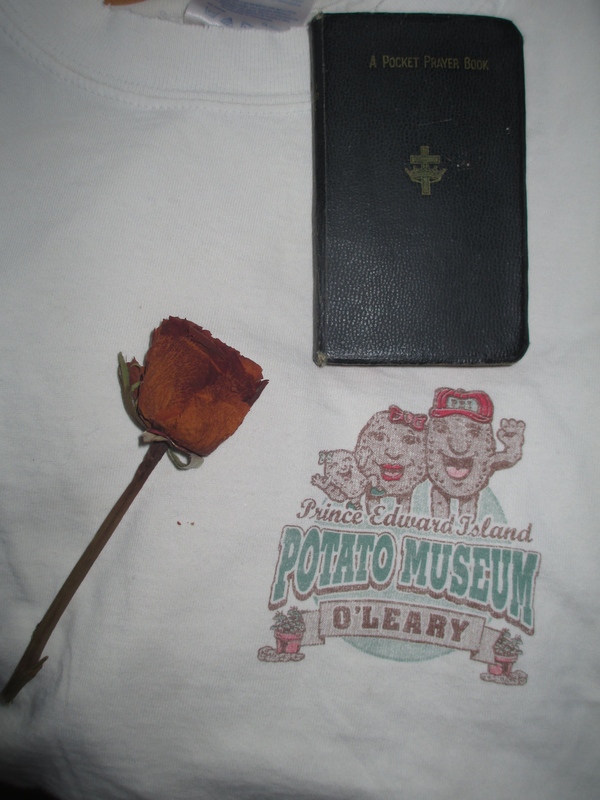 The t-shirt was obtained at the Potato Museum on Prince Edward Island during our honeymoon—long story, but suffice to say I love the tubers. It is festooned with holes. Shawna has begged me to get rid of it for years. The pocket prayer book was given to my dad when he was confirmed in his church as a little boy. He gave it to me when I was ten or twelve. I haven’t looked at it since. It means nothing to me now. Each of these have been very difficult to part with. The determining factor in getting rid of the rose, for example, is that I don’t feel a thrill of joy when holding it. Instead I get a pit in my stomach as I ask myself, “What am I supposed to do with this?” I have learned that such feelings are generally a signal to get rid of the item. My method of dispersal is admittedly going to veer wildly into the weirdness spectrum on this, but I could care less. It helps me to follow through with it. I’m going to cut a swatch from the shirt and wrap it around the stem of the rose, mix it into one of my glorious compost piles, and allow them to rot and become part of some garden in the future. Pretty good idea, huh? Well, I think so at least. The cotton fibers will take quite some time to break down, but when the time comes I’ll till it right into the soil along with the rest of the finished compost. Every time I see it I’ll be reminded…. Which brings me to the fact that it’s the memories we are attached to, and not the actual physical items. It is extremely helpful to be reminded of this. I almost never look at the rose, which has hitherto been kept in a box—useless. At least now it can be plowed into future beauty and memorable experiences waiting to be made. We shouldn’t be chained to the past by belongings. All such items will be ushered out of futility and into future lives of usefulness. The next shot depicts my first pair of big boy pants. My new wife purchased these at Goodwill for me nearly 16 years ago. I needed a new wardrobe while entering schools for kids of all ages. In the high school my baby face caused me to be mistaken for a student more than once. Anyhow, they had outlived their useful life. The trail-running shoes were my first pair of running shoes obtained after rekindling my passion for running several years ago. They were stellar hooves for my feet, as I galloped for hours through unspoiled wilderness, thrilling in a fantastic method of exploration. Over time they devolved into various other uses, and even after a full four inches of the soles separated from the shoes, I had trouble disposing of them. Setting these items free on garbage day was a bit like the scene in one of the Star Trek movies, when Spock (killed by radiation while saving the ship) was fired into space in the shell of a torpedo (which ultimately landed on the planet Genesis and rebuilt him—oh how I hate to sound like a Trekkie here)…. One last nugget I’ll share from Marie Kondo’s book is her philosophy on papers, which is one of my problem areas. She says to basically get rid of them all. They do not spark joy. So helpful!